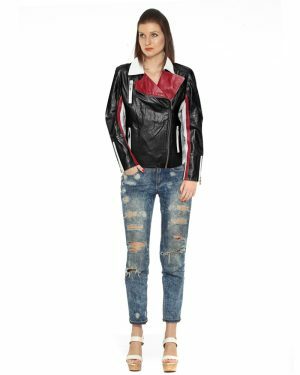 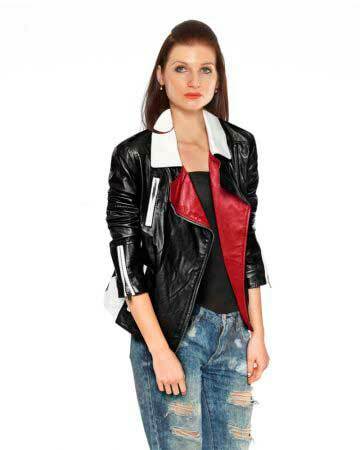 This leather biker jacket with asymmetric zip can offer you an appealing biker look. 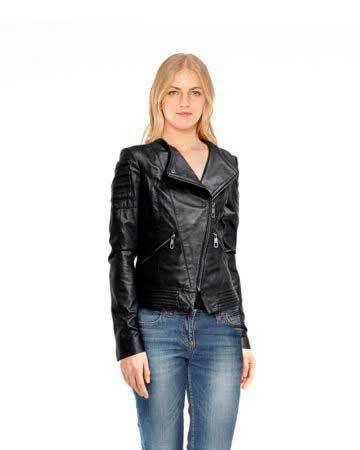 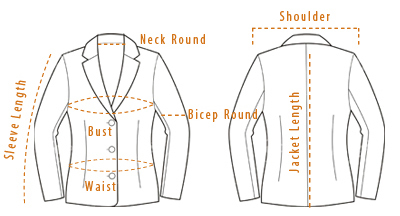 Made up of genuine Lambskin leather, this charming jacket will draw you loads of attention wherever you go. 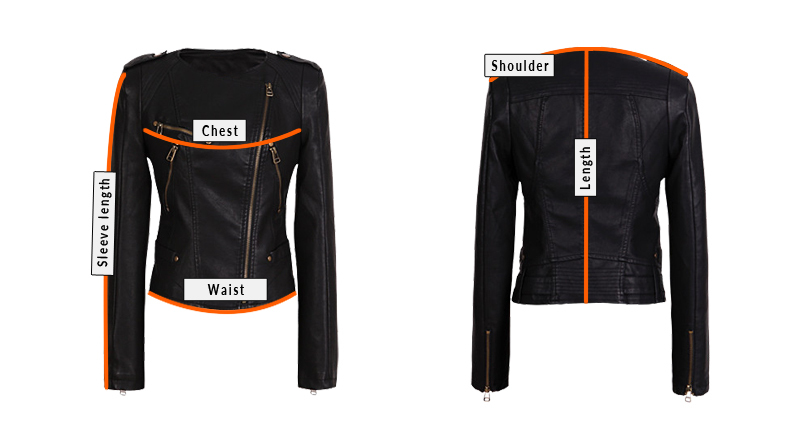 Side adjustable buckled tabs at the waist & three zip pockets at front add to your comfort.